While domesticated animals have been living with us since centuries, there are certain facts that most people don't know about them - especially nowadays. Below, we picked five facts that might surprise you as well! What is the difference between a male and a female duck? It's fairly easy to tell the difference between a male and a female duck in the wild, as their colours will quickly give them away: the males are more colourful, while the females are mostly brown. But in the case of the white domesticated ducks, it's another story. But while it's harder to tell the difference this way, it still is possible. A telltale sign on the male ducks is the slightly swirly feather on their tail - if you see a duck with a tail feather like that, it's probably a male. Yet, if the feather is missing, it does not guarantee that you see a female animal, as feathers can be lost, anyway. The sound the ducks make is in fact the biggest difference that you can experience when taking a look at them: males only make very soft and tender noises, why female ducks can be very noisy, especially when they're frightened. Other differences can also be seen sometimes - males tend to be more robust and their heads are less streamlined. Do horses really sleep while standing? Horses sometimes do sleep while standing, but while many people who don't really know much about these animals believe this is the only way they sleep, they actually do lie down sometimes to sleep. Most horses in fact will prefer to have a few hours of sleep while lying on the ground, especially when they are at a place where they feel safe and comfortable. Many foals also lie down to rest for a little while, even if they are not sleeping. Yet, the anatomy of a horse is not ideal for lying on the ground for a prolonged time. Another common misbelief is that chickens only eat seeds and plants - but the truth is, they really like eating quite a variety of foods when they have the chance. When chickens range free, they will start to forge for insects, snails, slugs, worms and even mice - as well as plant parts and seeds, of course. Unfortunately, some chickens can have the bad habit of eating the eggs of other hens, or even their own eggs. Does red make bulls mad? The answer - in short - is: no. Bulls are not getting mad by red, or any other colours. In fact, they can't even see red colour, as their eyes are not capable of sensing this spectrum of light at all. What does annoy the bull is the movement of the fabric, and once the bull becomes irritated by the fabric, it will probably start to act aggressively - that is, it's going to charge at the fabric as usually seen. How long do geese live? Many people only know the average lifespan of dogs and cats, which are unfortunately relatively short. To them, it could be quite a surprise to know that many horses will happily live until they're 30, and many big parrots until they turn 40-50 years old. 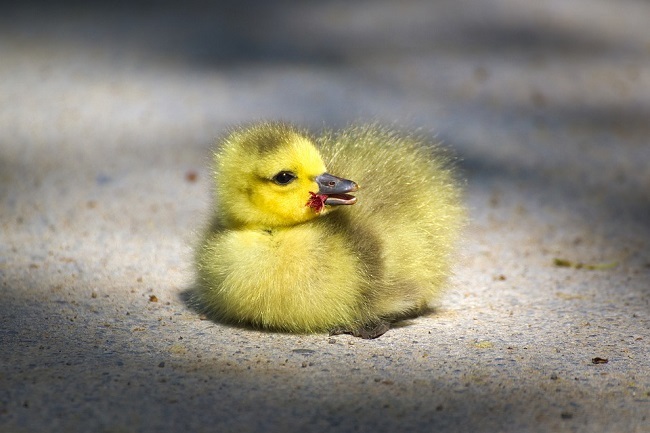 When it comes to geese, the end of their life usually comes when they are slaughtered for their meat - but if they are let alive, they can live up to 20-30 years on the average. According to the Guinness Book of Records, the world's oldest domestic goose was George, who dies when he way 49 years and 8 months old.